The Model 19-6 combination torch handle for cutting, welding, brazing and heating. It can be used with oxy-acetylene or other fuel gases. The model 19-6 features silver brazed twin tube construction. 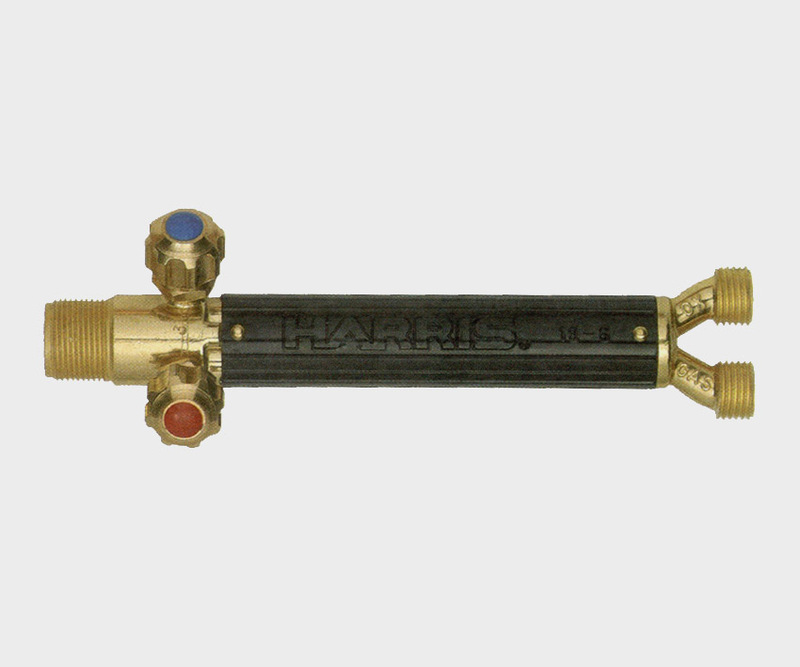 Valves are located at the front of torch handle for more precise control while brazing.